© Steven Serdikoff. All rights reserved. This image was taken during a photoshoot over Lake Ontario during the Rochester International Airshow. 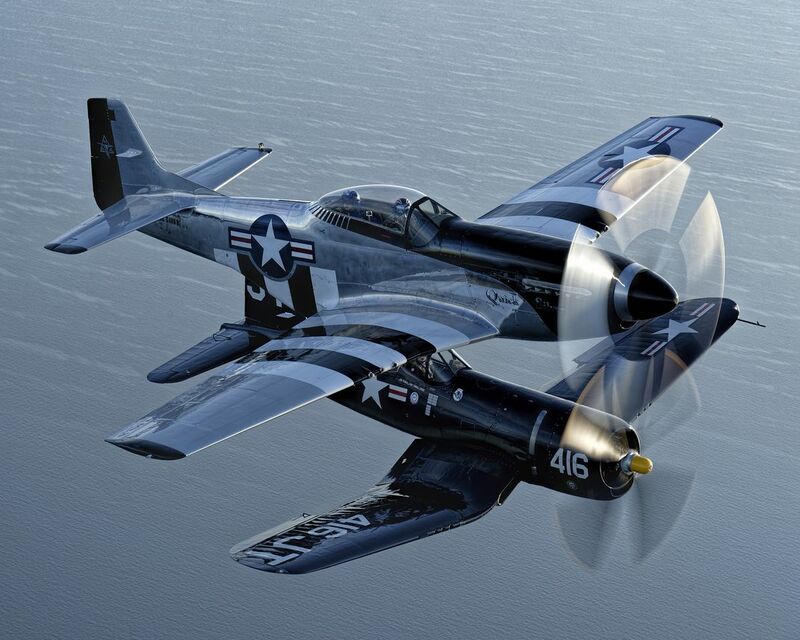 Scott "Scooter" Yoak in his P-51D Mustang "Quick Silver" leads Jim Tobul in his F4U-5 Corsair "Korean War Hero." Date Uploaded: Aug. 4, 2015, 8:48 a.m.